The WUDC is very committed to ensuring gender equity is maintained for all participants, both in the competition and in the larger context of the WUDC and the debate community. Each year, the WUDC hosts a Women's Forum to discuss issues of importance to women in debating, and elects a Women's Officer to further the agenda established at the Forum. Firstly, I am humbled at becoming the women's officer for WUDC 2016. My name is Mir Rawtah-I'm sure a lot of people will have difficulty remembering that but since I am going to be very vocal about women's issues, I hope you all will get used to having me around. 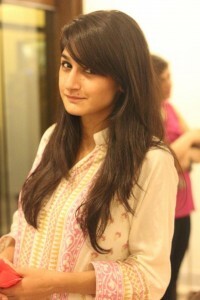 I am from Lahore, Pakistan and currently in my second year of BS Accounting and finance at FAST university. My debating career started last year at university, and since then, I have not looked back. Having won the best delegate award at numerous MUNs, declamations awards and competing successfully in many BP & Asian debates, I have found my love for public speaking increasing each day. And it is this dedication that ensures I will do justice to my designation at WUDC. I'll make sure to attend to everyone's queries and assist in whatever way possible. I am eagerly looking forward to welcoming you at WUDC 2016 and maybe even pestering you with my feminist ideas. Happy speaking everyone! Please feel free to contact me by email.